Combat Breast Cancer With These 5 Cancer-Fighting Foods! When patients learn the terrible medical diagnosis that they have breast cancer, their initial reaction is usually shock and grief. When they eventually settle down, their next likely move is to ask their doctors a series of questions: What possibly caused the cancer? What are their chances of beating it? What lifestyle changes do they need to do if they succeed in beating the disease? As for the last question, doctors would most likely advice their patients to maintain a healthy diet during their recovery period following breast cancer treatment. Maintaining a healthy diet is also a great way to improve a patient’s immune system, especially if paired with stress management and exercise. 1. Limit fat intake to less than 30% of calories. These include highly saturated foods like lamb, cheese, cream, beef, ice, cream, butter, and organ meats. Also, avoid food items that contain trans fatty acids such as crackers, margarine, and commercially prepared baked goods. 2. Increase intake of whole grains, vegetables, and fruits. These three food groups are rich in cancer-fighting phytochemicals that contain antiestrogen and antioxidant. They are likely to help in the healing process, which is why you must incorporate them into your daily diet. It is highly recommended that you take five or more servings of vegetables and fruits every day. 3. Choose foods with the most nutrients. By these, we mean beans, meat, eggs, seeds, vegetables, fruits, and dairy products. Your body needs all the nutrients it can get to function well. 4. Keep alcohol consumption in moderation. As much as possible, avoid consuming alcoholic beverages. Numerous studies have shown a link between breast cancer and alcohol intake, with one particular study revealing that drinking 3 or more glasses of wine per week increases a woman’s risk of breast cancer. 5. Maintain a healthy body weight. Since obese or overweight women tend to have higher levels of estrogen, they are more likely at risk of getting breast cancer. Women with a body mass index greater than 25 or 30 are advised to undergo weight loss programs, starting with diet modification. While it’s true that there’s no miracle food that can prevent breast cancer, there are certain foods that can stop the cancer from recurring. As long as you have these foods in your meals or snacks, you’ll be doing yourself a big favor. High in fiber, phytochemicals, and complex carbohydrates, whole grains are known to modify hormonal actions of breast cancer, among other hormone-dependent cancers. These unprocessed foods are also rich in minerals and vitamins, giving you more incentives to increase your whole grain intake. Consumption of 25 to 30 grams of soluble and insoluble fiber is recommended daily. Be sure to include oats, rice, wheat, barley, rye, bulgur, and corn in your diet. 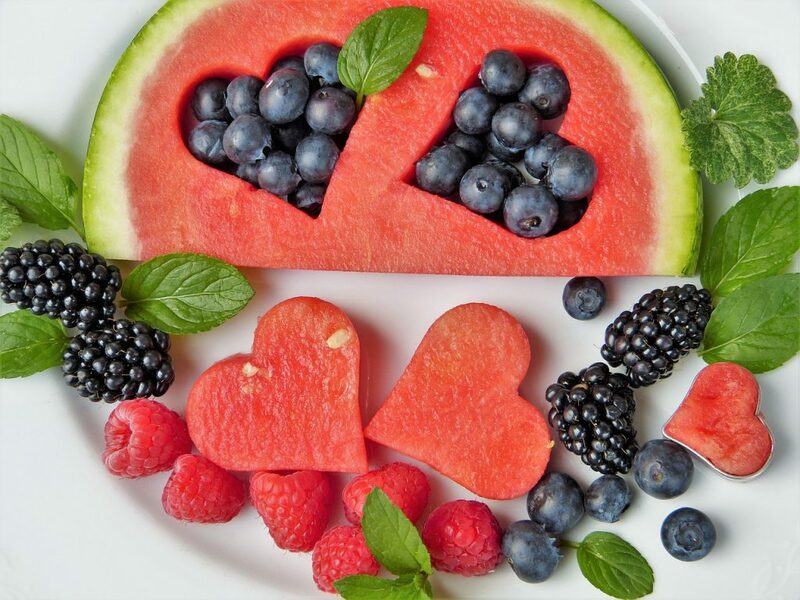 Fruits have always been known to improve people’s overall health. Apart from being huge sources of vitamins and nutrients, they also contain phytochemicals, antioxidants, and antiestrogens as well as other properties that help fight breast cancer. It can be any fruits – apples, lemons, avocados, bananas, you name it. Indeed, you can combat breast cancer with the 5 cancer-fighting foods we have listed here. You can also do something else: Help the needy breast cancer patients in your area by donating your old and unwanted vehicle to us at Breast Cancer Car Donations. Once we get hold of your donated vehicle, we’ll sell it via auction and use the funds to support the comprehensive breast health services that our charity partners provide to all who need them. These IRS-certified 501(c)3 nonprofit organizations provide financial assistance as well as access to medical facilities to uninsured and underserved breast cancer patients so they can undergo full treatment and rehabilitation. They also offer free breast cancer screening for individuals to enable early detection of the life-threatening disease as well as other breast cancer prevention and education activities. You will also personally benefit from your vehicle donation since you’ll get free towing services and a 100% tax-deductible sales receipt that will entitle to claim a top tax deduction in the next tax season. Moreover, you’ll certainly enjoy our seamless donation process with no paperwork involved. Turn Your Car into a Lifesaver Now! As you get to know certain foods that have natural ingredients that can ward off breast cancer, you can gain a measure of protection from this life-threatening disease by including these foods in your diet. If you want to help needy residents of your community who are waging a gallant fight against breast cancer, call us at 866-540-5069 and extend them a lifeline with your car donation!